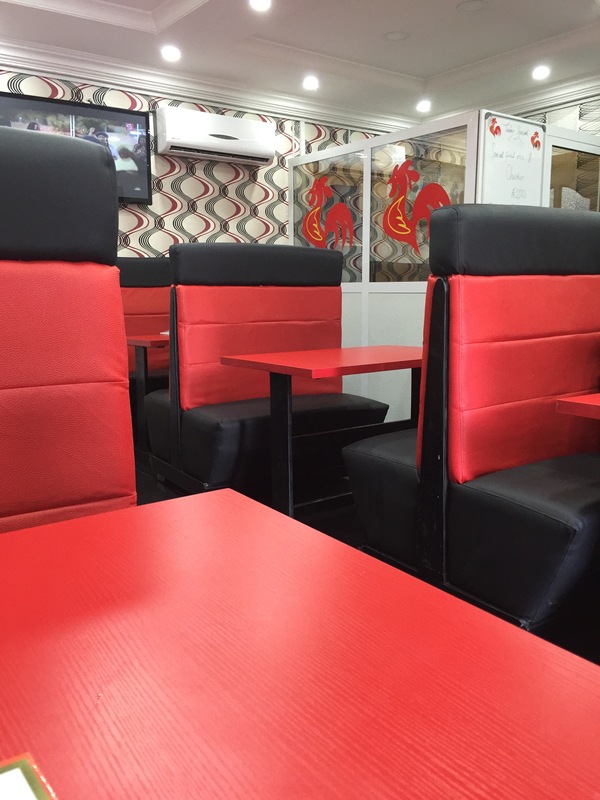 Through my Instagram surfing, I found out that there is a Mico’s in Abuja. 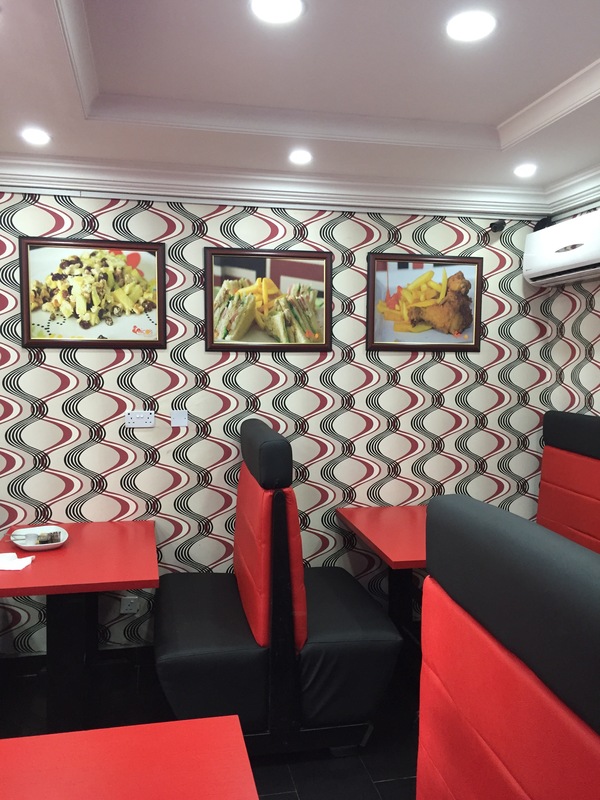 I have been to the one in Lagos but things didn’t end well for me and I thought I would give them another chance to redeem themselves. This is not right Mico’s! 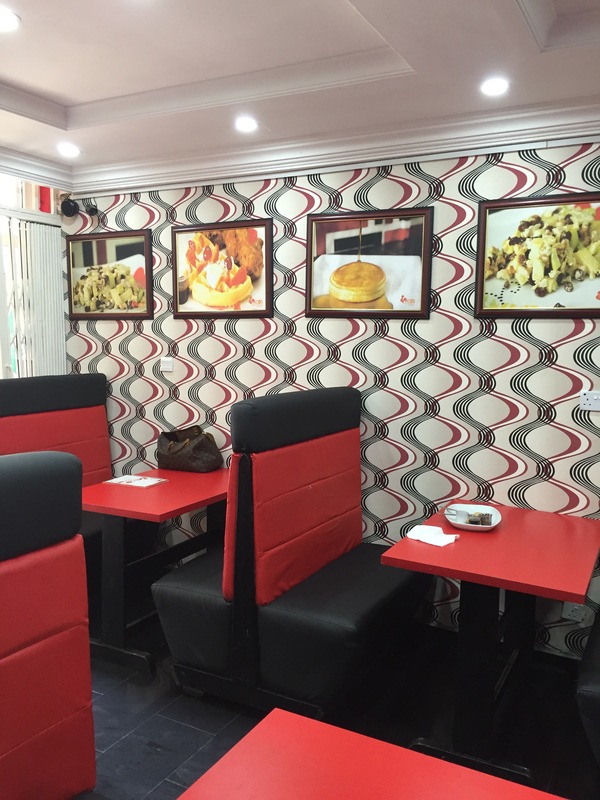 It’s a little place which can seat about 20-24 people. I forgot to take a picture of the interior. I need to make a photo checklist when I review places (Chubby Dija here: she most probably won’t make that checklist). (Update: I went there a few days later and took pictures) I’ll tell you this though, it’s a place to just order your food and leave. It’s not a very comfortable place to lounge in. I, and Tracy, ordered the Mico’s Special which consists of a Belgian waffle, 2 pieces of chicken and a drink. My drink was obviously water. I asked for the fillet chicken while Tracy got a thigh and a drumstick. Note: the Mico’s Special typically comes with a thigh and a drumstick but I’m not a fan of bones hence the switch. 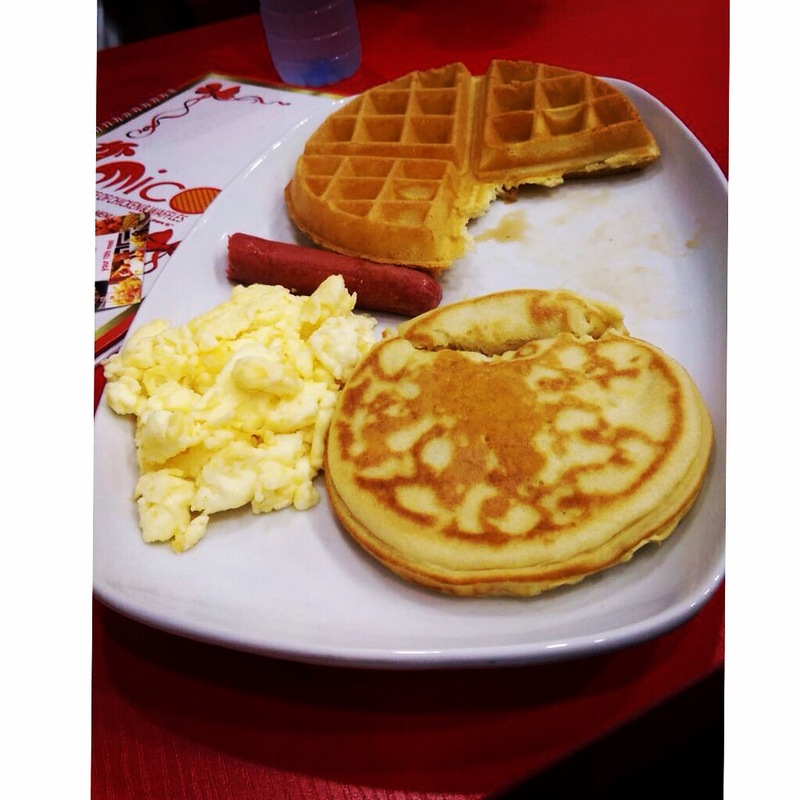 Doyin ordered the Waffle Beat (a Belgian waffle, a sausage and eggs) with an extra pancake while Sylvia ordered a waffle pie which is a savoury (read spicy) waffle baked with chicken bits. The waffle was fluffy on the inside and soft on the outside. It had just one crunchy part but I didn’t mind. 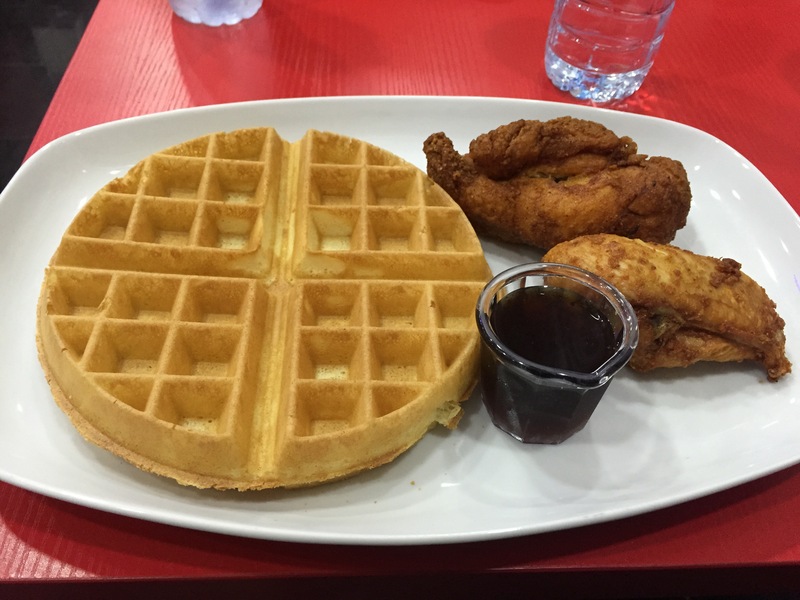 It was such a good waffle too: soft and fluffy, not airy and crispy like some I’ve had before. The chicken, as usual, was bland inside but seasoned on the outside. I thought that the ‘filet chicken’ would be a thin strip of chicken but I thought wrong. Sylvia reminded me that I’m in Nigeria and that filet simply means no bones. Got it. I also have to add that I was very impressed with the big chicken portions. I didn’t have the pancake but I loved how fluffy it looked. 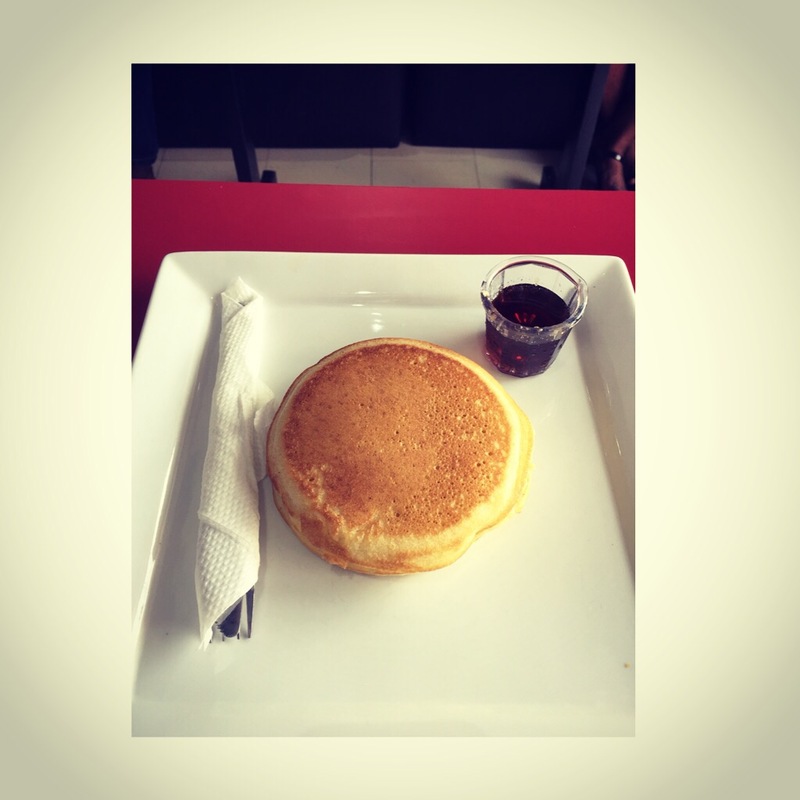 I had the pancakes in their Lagos branch but it ended badly. 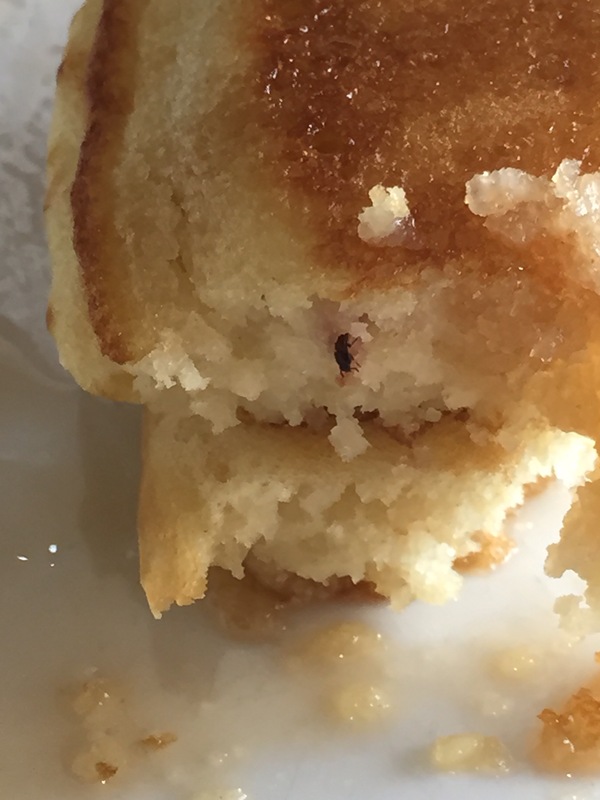 It was lovely but I found an insect in one of the pancakes after I was at least halfway through. The maple syrup cup was also crusted with dried up syrup. This trip to Mico’s was a chance for them to redeem themselves and they didn’t disappoint. One of the downsides to this experience was that our (Tracy and I) waffles were cold. Doyin’s meal also got served about 15 minutes before the rest of us got our meals and her eggs were pretty salty. The excuse was that the chicken took longer to prepare. That means they should have made the waffles last, no? I was very filled after the meal. I’m glad there’s a place I can go to get breakfast food for dinner. Their prices are also VERY reasonable. The priciest item costs N2300 and there was no service charge or tax; I guess the taxes are already absorbed into the prices. 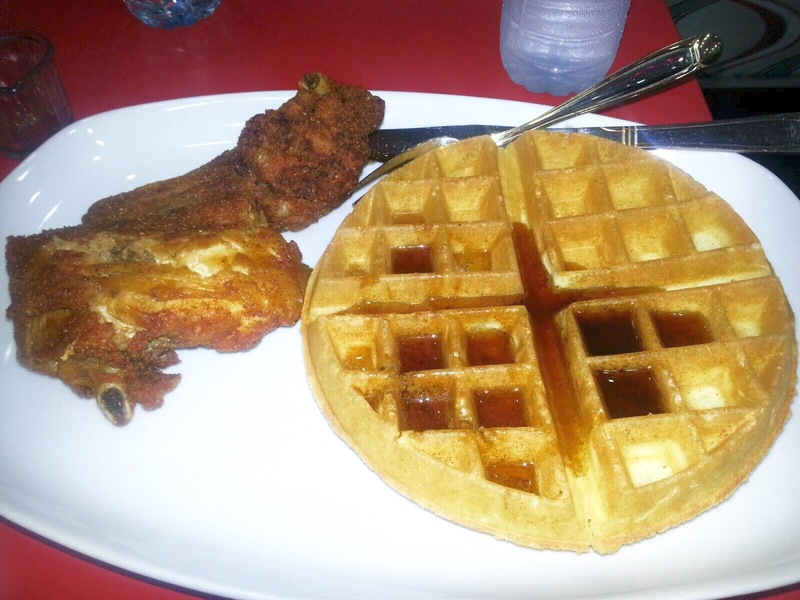 Mico’s House of Chicken and Waffles is located at Green Plaza on Aminu Kano Crescent (Kinda Opposite Mr. Biggs).